Skip those long waits with your manufacturer. We’ll get you on-your-way in no time. Stop straining! Get that clean and clear screen your device deserves. Dead battery? Cracked screen? No audio? Broken charger? You name it, we’ve fixed it. we love Apple, Android, Windows and the rest. 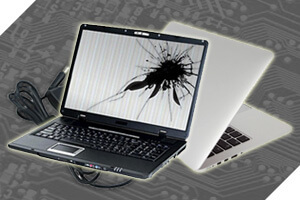 We have experienced technicians that can help you with Laptop Repair as well. Whether you have a PC or a Mac, we guarantee that your laptop repair will be done for the affordable price and in the shortest time possible. If your tablet is damaged, no worries, we are here and happy to service you for all Tablet hardware issues. 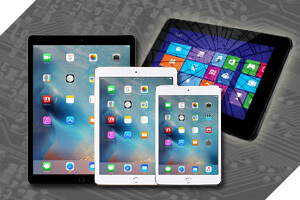 Bring your tablet for a free diagnostic and let us take care of your tablet. Why should you choose Fix It All? Had an accident with your Android device? We tackle tons of Android repairs every day. iPhone, iPad, Macbook; we're experienced with the whole Apple family. Don't mind if we do. Microsoft devices need love too. Damaged devices got you down? We can help. Don't panic. 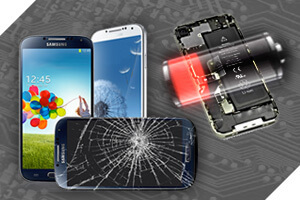 We offer a variety of smart-phone, tablet & computer repair services. Stop in at one of our locations and get a FREE DIAGNOSTIC and honest evaluation. Let our experienced technicians take it from here. You'll be texting again in no-time! Leave with peace of mind. Our quality parts come with a 1-year manufacturer's warranty.